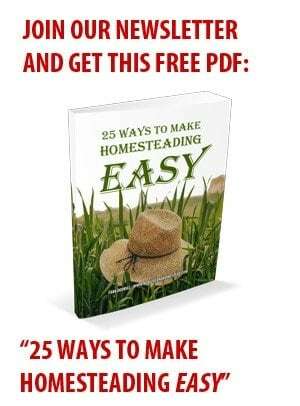 Chopping wood with a dull chainsaw does not only make the task far slower and more dangerous, it can also ruin one of your most essential homesteading tools. If your chainsaw is “bucking” during the wood cutting process, it is overdue for a sharpening. Sharpening a chainsaw yourself can save you hundreds to a few thousand dollars a year. In our rural area, where the cost of living is low, it costs at least $25 to get a chainsaw professionally sharpened. If you do not learn how to sharpen it yourself, odds are you could put off the task far longer than recommended due to the added expense and bother of running it to a service provider. A dull chainsaw is a dangerous chainsaw – and one that will have a vastly shorter life than a saw that has been regularly maintained. The chainsaw sharpening process takes only about 15 minutes. The little bit of time spent sharpening the cutters on a dull chainsaw could literally save your life. The saw is far more likely to kick back out of the wood and hit your lower, while cutting deeply and painfully into it, when it is dull. The photo on the left shows the file angle NOT to use when sharpening a chainsaw – it goes nearly straight across the teeth. The image on the right illustrates the proper 30 degree angle recommended for filing a chainsaw blade by most manufacturers. The cutters (commonly referred to as the ‘teeth’) on a chainsaw, are the sharp points on the chain loop. The cutters are the semi-circular cutting edges that are both sharpened and reshaped during filing. In the front of each cutter there’s a depth gauge fin which controls how deep the “teeth bite” into the wood being cut by the chainsaw. The fin is just about a hair shorter than the cutter tip. The angles ground onto the cutters alternate back and forth left to right for the chainsaw to cut straight. This is why you must sharpen one set of cutters, and then flip the saw around and sharpen the cutters ground in the opposite direction to keep them each angled properly. Eventually, after heavy use and copious amounts of sharpening sessions, the blade will need to be replaced because the fin depth gauges and the cutters will become leveled out to the same height and thwart the chainsaw from doing its only job: cutting into wood. To deter blade replacement as long as possible, it is possible for a skilled sharpener to file the fins to the proper heights with a flat guide and a flat file. 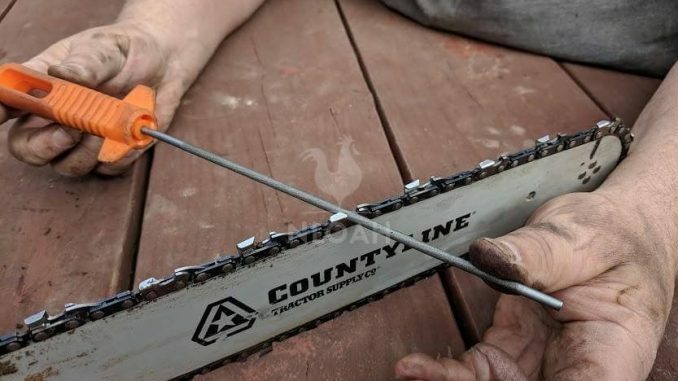 If the teeth on the chainsaw become nicked up too badly after heavy or rough use like coming into contact with the ground, rocks, or old nails repeatedly, replacement of the blade or professionally sharpening will likely be necessary. A dull chainsaw will not cut smoothly, buck when making contact with wood, and ride in an established cut without deepening it further. When the chain spits out more dust than it does chips, a sharpening is needed. If you find yourself using far more force than normal to make a cut, or are experiencing a lot of kicking back when cutting, it is time to shut down the saw and grab a file. It is also important to learn when to stop sharpening. Once the cutter has retained a sufficient, continuing to sharpen each one of the teeth will only unnecessarily wear down the cutter more. Never, ever use a rattail file on chainsaw teeth. This type of file has coarse teeth and has a tapered diameter that will RUIN the cutters. The brand and size of the chainsaw you are using will dictate the file diameter or round file needed to match the diameter of the cutter. Nearly all hardware stores display charts that help you match the chain identification number stamped onto your saw with the proper file. The most frequently used round files for medium duty saws are 3/16 of an inch, 5/32 of an inch, and 7/32 of an inch. Use a permanent marker to draw a line on the bar to note your starting point on the blade. Some folks find it helpful to place the bar in a vice to help hold the chainsaw steady during sharpening. Slide the file in between the chain rivets – with the arrows on the guide pointing toward the tip of the bar. Hold the handle of the file firmly with one hand and hold the bar in place firmly with the other is not using a vice. ONLY file across the teeth with a forward stroke. and guide the file with the other hand across the cutter on the forward stroke. Lift the file off of the chainsaw blade after each forward stroke, never pull it back across the teeth. If the depth gauge is taller than the filing gauge, if must be lowered. You must file down the depth gauge until they are level. On humped drive link chainsaws the hump is also lowered in addition to the depth gauge. File down the depth gauge until it is level with the filing gauge. Next, file the top of the depth gauge parallel to the service mark – but do not lower the highest point of the depth gauge in this process. Follow the angle of the top of the cutter – the rollers on the guide will prevent you from sharpening too deep into the side plate on the teeth. After completing a few even and steady strokes with the field, the cutter should look shiny without any dark marks. Once you have sharpened several of the teeth, release the chain brake again, and move the chain forward to reveal more cutters to sharpen. Once you have sharpened all of the cutters on one side of the chain, turn the chainsaw around and repeat these steps on the other side. If the chainsaw cutters have been experiencing difficulty reaching the wood because they have been filed down over time, use the depth gauge tool to alter the height of the depth gauges on the chain. Count the number of file strokes used on each cutter, and make the same amount of strokes on each of the teeth to keep the angle of the cutters uniform. If the teeth in one row are not as tall as the teeth in another row, too many strokes or too much pressure was used on the lower row. You should flip the chainsaw back around and file down the taller row to make them match the lower row. When cutting soft woods that have not been overly exposed to intense cold weather, you may want to increase the depth setting by about 2 mm. By routinely cleaning and sharpening the chainsaw you should have better results when cutting various types of wood, and are more apt to be able to do so in the safest manner possible. 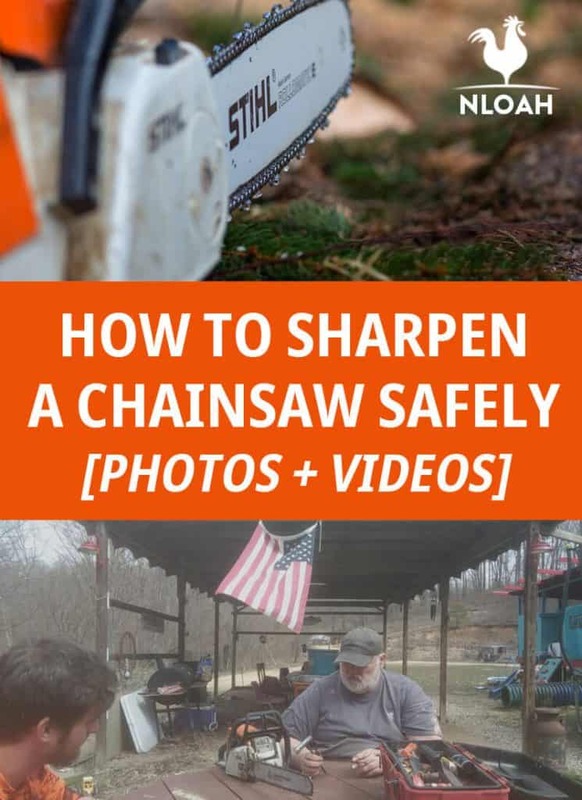 Get into the habit of dressing the chainsaw after each use, and sharpening the blade every time the saw has to be refueled to continue garnering optimal performance and safety levels when using this power tool around your homestead.